What was the Younger Dryas? The Younger Dryas took place tens of thousands of years ago. 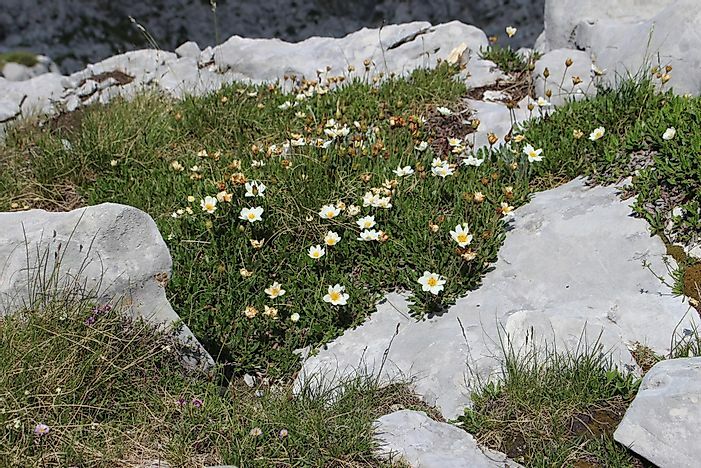 This period got its name from Dryas Octopetala, a wildflower whose leaves thrive in the cold and became common during the YD period. The warming led to the melting of massive ice deposits in North America and Europe and a climatic maximum called the “Boiling-Allerød” was attained. The conditions, however, changed again soon after entering the YD period that ended after 1,300 years when the climate became warm again with Greenland recording a 10°C temperature increase in a decade. This period got its name from Dryas Octopetala which is wildflower whose leaves thrive in the cold and became common during the YD period. Apart from the fact that it is an interesting event in history, the way it ended abruptly is what amazes even more. The question as to what caused the YD is also a very debatable area among scientist. This has led to many explanations being put forward to explain the event. One of the most common explanations and also widely accepted is that water from Lake Agassiz in North America broke its bank and released freshwater into the Labrador Sea and in turn floated on the salty water. This blocked the Atlantic Meridional Overturning Circulation current which transports heat to the north using its warm waters. This blockade, therefore, led to northern Europe freezing. This is also the Thermohaline Circulation (THC) disruption where the North Atlantic froze while the South Atlantic warmed up. However, this explanation is discredited because research shows a similar water release happened after the end of the YD and led to questions as to why climate was not affected similarly. It is also at the same time supported by research showing that if the Thermohaline Circulation was disrupted then less heat would reach the north from the south. A closely related theory related to this is that the water stream changed its course and went northward caused by the melting ice sheet in North America. This, in turn, led to an increased amount of rain in the North Atlantic which sufficed to disrupt the THC. Another explanation is about the El Nino-Southern Oscillation in response to the changes that occurred in Earth orbital patterns. This explanation is discredited because it cannot explain how such an event affects regions far from the tropics. The eruption of the Lacher See Volcano and how it came to cause temperature changes is also another lacking theory. The Younger Dryas event was not like any normal climate change as therefore was bound to have impacts on the world. It is said that temperature fluctuations not only occurred before and after but also during the phenomenon. In England, the glaciers started to form which was caused by extremely low temperatures while in Holland the temperatures were below -20°C when the winter season came. Of all regions affected by the YD, in Greenland, the effects were felt the most with the ice cores recording a temperature drop of 15°C. The trees were also affected in most of Europe and alpines and tundra were dominant after the trees retreated. This period affected even Syria where drought hit the ancient community of Abu Hurerya. Scientists suggest that the period led to the extinction of mammals like the mammoth and the disappearance of the people of Clovis in North America. An explanation has been put forward that the cooling was caused by a cosmic impact which left a lot of debris that cooled the climate fast and in turn eliminate certain species including the Clovis to whom, the conditions were too extreme. This period is very important to scientists when it comes to research about global warming. It is wonderful but terrifying at the same time. The explanations put forward are not enough and therefore this discussion is far from over and research still continues. There are also examples of similar climate fluctuations over the past 50,000 years like the Heinrich, Dansgaard phenomenon, and the Akkadian Collapse. This page was last updated on February 26, 2018.